Offering you a complete choice of products which include manual solder paste printer. We manufacture and supply a focused scope of Manual Solder Paste Printing Machine, which are accessible according to the worldwide quality benchmarks and we offer these items for changed commercial ventures. We have used unrivaled quality raw materials, which have been obtained from established vendors. 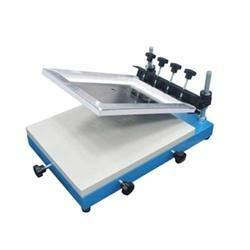 Looking for Manual Solder Paste Printer manufacturer ?